Valtteri Bottas has revealed that Williams’ 2013 car will not feature a ‘stepped’ front nose. Following the public’s reaction to the aesthetics of last year’s cars, the FIA has allowed teams to install a ‘structurally irrelevant’ laminate over the step in 2013. The ‘modesty panel’, however, is not mandatory, which had raised doubts about whether teams would actually take up the option. Bottas, Williams’ rookie driver for 2013, told Finnish broadcaster MTV3: ‘As far as looks, the (2013) car is pretty much as it was last year. ‘With the new rules, the step nose is straightened. That is the biggest difference in appearance. ‘The new car is a development version of last year’s. There are certain improvements in aerodynamics. 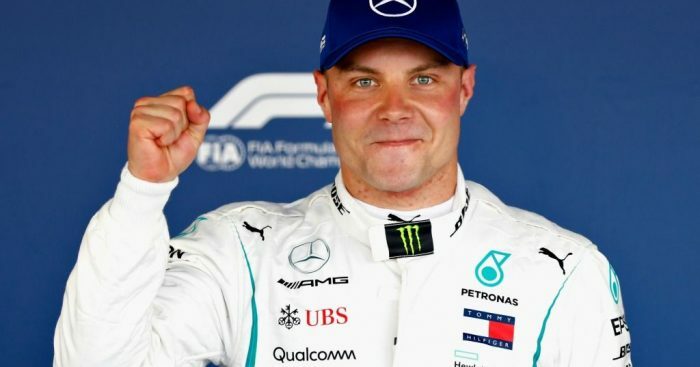 ‘We have tried to focus on getting more traction in corners,” added Bottas. He said he did not know whether he or Pastor Maldonado, Williams’ continuing Venezuelan driver, will give the FW35 its track debut at Jerez early next month. ‘Pastor and I will share all the test dates, so six days (each),’ said the Finn.